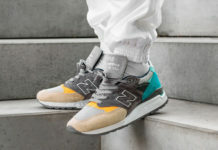 Men’s lifestyle brand Todd Snyder and heritage footwear company New Balance have joined forces on their seventh exclusive, this time bringing the classic New Balance 998 to life in a rainbow of saturated hues. 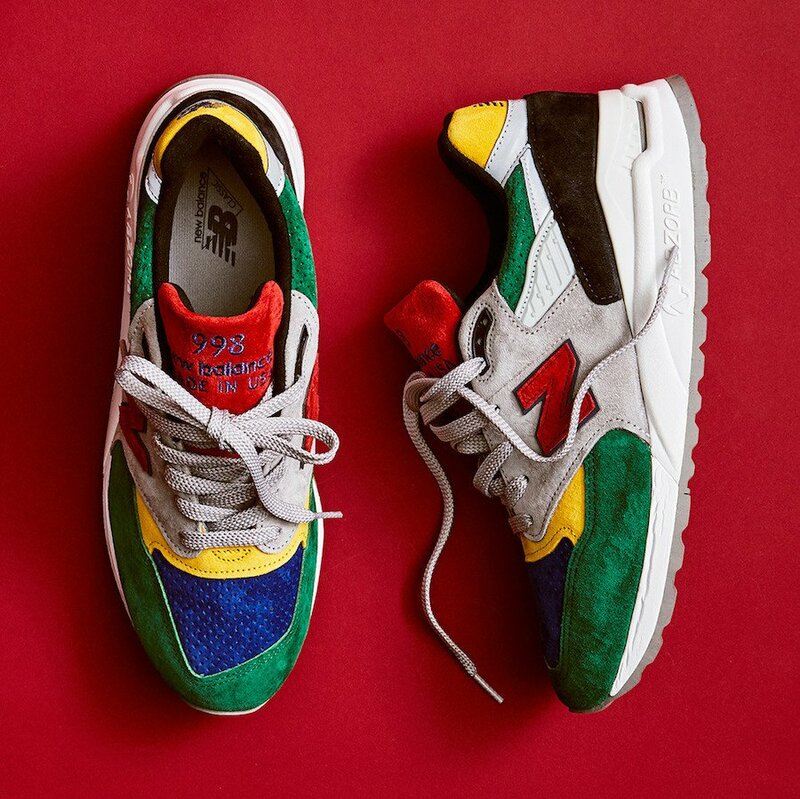 The Todd Snyder New Balance 998 Color Spectrum — available now in very limited quantities — is a vivid reissue of the original 998, first launched in 1983. 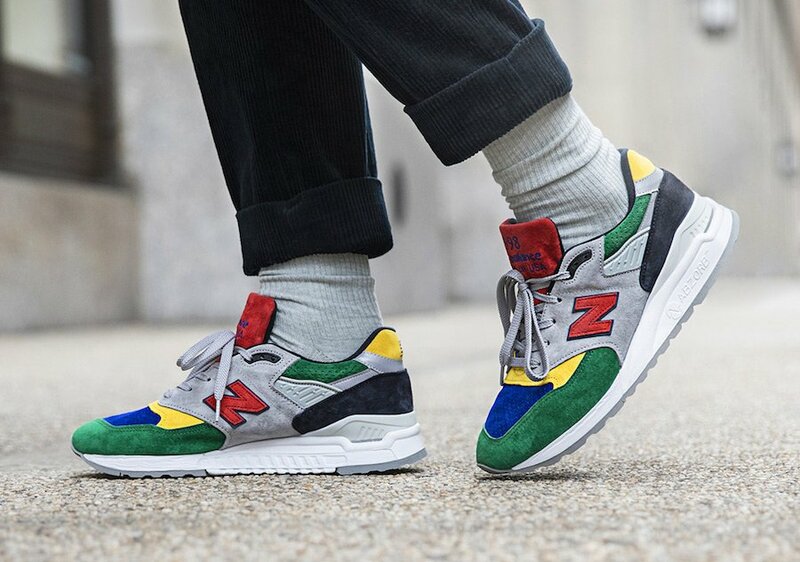 This exclusive style is guaranteed to ward off winter wardrobe doldrums with its cheery mix of Sporty Red, Bright Green, Athletic Blue, and Sunny Yellow, all against NB’s classic Grey with White and Black accents. The result is a versatile, elevated take on polychromatic that brightens up a tonal look or pairs perfectly with the primary colors of the menswear brand’s recent collaboration with Peanuts®. 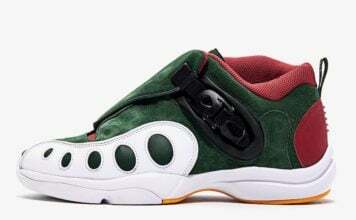 This USA-made style is the ultimate premium sneaker, crafted with a suede and mesh upper and ABZORB® cushioning in the mid-foot for exceptional shock absorption and all-day comfort. 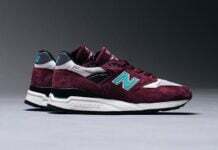 It is the latest in an ongoing series of designs co-created by Todd Snyder and New Balance, infusing the iconic footwear brand’s most legendary styles with Snyder’s signature sartorial touch. 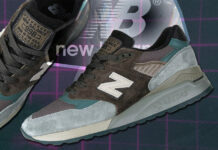 You can now grab the New Balance 998 Color Spectrum by Todd Snyder at Todd Snyder’s website. Retail price is set at $220.